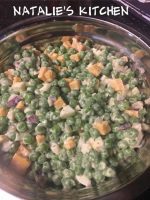 A yummy salad perfect for your next pot luck or cook out! This is always a hit! This salad is so easy to make and everyone loves it! If you’d like to add some more ingredients you can add celery, carrots, raisins, cauliflower, sunflower seeds, chopped pickles. 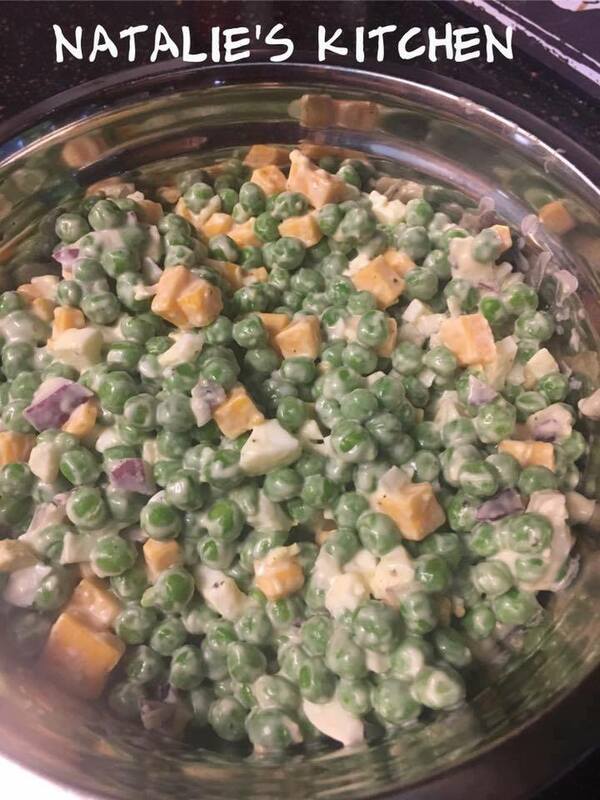 You can use canned peas but frozen is better. Miracle Whip is found in the mayonnaise isle at the grocery store! Once the peas are thawed, drain the water, and then just mix everything together in a large bowl...easy peasy! It’s wonderful, I love miracle whip in most things!